A business is believed to grow whenever it remains connected with its customers. Responding to customer queries and resolving issues in real time increases the chances of building a permanent bond with the customers. In global contact centers, agents have helped customers place an online order, address a complaint, or execute an online payment procedure by demonstrating the “action” online in full customer view. Thus a contact center is one place where a technology like co-browsing, which allows agents and customers to view pages together, can be used successfully to untangle problematic issues. This kind of scenario closely resembles a physical problem-resolution session between a CSR and a customer. The best part of collaborative browsing is that it can include chat or phone for the communication while cobrowsing pages together online. The Business Standard article titled More Buyers in US, UK Opt for Online Shopping during the Festive Season points out a Wipro Study recently confirmed over 60% consumers in US and UK are expected to do their holiday shopping online in 2015, a 10% rise from the previous year. That means the need to personalized support is only going to increase and so will be the usage of cobrowsing. In Is Socialization the Secret to Customer Loyalty?, there is a distinct indication that visible community behavior helps an online business to increase its bottom line. When a live chat session or a voice call is combined with a co-browsing session, then the complete experience emulates an online socializing opportunity. As social media studies have repeatedly proved that customer loyalty builds through socializing activities, it may be concluded that co-browsing combined with other communication strategies enhances the chances of building solid customer loyalty. A consulting firm, BearingPoint, undertook a study to examine the impact of digital channels on online contact centers. This firm surveyed 45 companies in the financial services, media, transport, and telecoms industries in Europe and North America. The results of this study were published in The Digital Evolution Journey of the Contact Center. 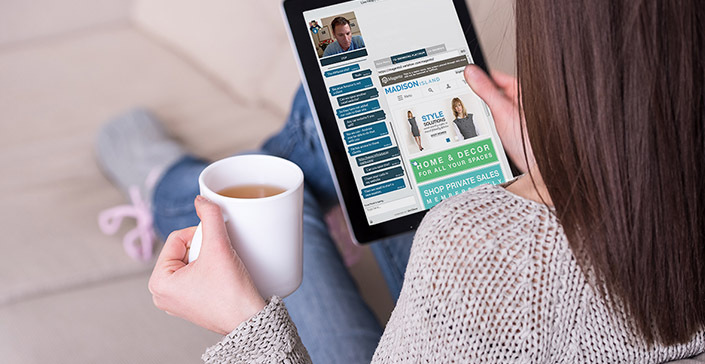 The publication clearly shows that customers increasingly want to be serviced by integrated digital channels, in which co-browsing is a core technology. The benefits realized through the integrated channels approach are reduced operational costs, faster resolution of customer issues, more customer engagement opportunities, and improved customer experience resulting in loyalty and higher customer satisfaction. What do online businesses gain? The reduction of average handle time (AHT) through quick demonstration of procedures or actions.